Bertin Pharma benefits from an unique position to provide you with a wide range of pertinent and novel products and services in order to assess the efficacy or the potential risk of drugs or NCEs. Our commitment is to provide you with the highest quality solution for your research needs in various investigation fields including Inflammation, Oxidative injury, Hormonology, Diabetes, Obesity, Hypertension, Neurodegenerative disease, HIV, Prion diseases, Pharmacokinetics & metabolism. We are very proud to let you enter our catalogue which contains number of state-of-the art or tailor-made products including Enzyme-immunoassay (EIA) kits, antibodies, human cytochrome and their related products. These products integrate number of updated technologies (Acetylcholinesterase tracer for EIA; Yeast engineering for human cytochrome P450) issued from SPIbios expertise and its cooperation with research institutes such as the CEA, CNRS, INRA, INSERM and Pasteur Institute. Products are developed and produced by our scientists that always keep in mind that the products we offer should fulfill your scientific requirements. 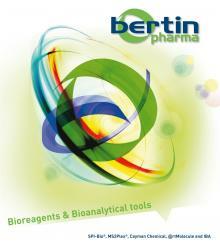 Bertn Pharma can also perform the assays on your behalf. Our bioanalytical laboratory – that develops and produces our reagents, offers this expertise as an additional support to laboratory projects. You will benefit from our experienced staff that generates efficiently and readily data.